Home » These 13 Survey Sites Will Give You Free iTunes Money! Online survey panels offer a lot of great rewards. Some give you PayPal cash for your time taking surveys, while others give out other prizes like fun products or gift cards. One of the most coveted gift card options for survey panelists is an iTunes gift card, since Apple iPhone remains one of the most popular smartphones. Don’t want to purchase an iBooks gift card online? Try out the following survey sites that will give you free money to use on iTunes to pay for apps, books, movies, and more. iTunes gift cards are great for purchasing things from iTunes or the App Store. You can use your money for your favorite music or movies, or even for paying for games or in-app purchases for apps on your phone. Today’s survey sites know that the way to entice people to join their panels is by offering rewards that will get them excited to participate. One of those rewards is an iTunes gift card. PayPal cash and Amazon gift cards are usually a given on survey sites, but iTunes gift cards aren’t as easy to find. They are getting more common, though! I’ve outlined some of the top survey sites below that offer iTunes gift cards as one of the rewards you can choose when turning in your points so that you don’t have to comb the internet to find them. First, if you’re not familiar with redeeming electronic iTunes gift card, you’ll need to learn. Most survey sites send iTunes gift codes to your email inbox instead of sending physical cards through the mail. Not only is it cheaper for them (no paper! ), but it’s also convenient and faster than mailing cards to members. Open iTunes on your computer or smartphone and log in. Go to Account > Redeem. Check your email and copy the code from the email. Paste the code in the box on iTunes and click Redeem. You should now see your account balance reflect your new gift card and you should be able to use it immediately in iTunes and the App Store. Take a Survey for an Apple Gift Card! The following sites are the ones you’ll be able to participate in to get free iTunes gift cards (and some other great prizes!). Swagbucks is way more than just a survey site, but I thought it would be a great addition to this post because of its many ways for you to earn points to get the iTunes gift card you want. Here, you earn SBs, the Swagbucks version of points. You can take surveys, read emails, complete offers, get cash back for shopping, watch videos, and complete fun bonus tasks to rack up SBs. I also really like the SBs referral system that gives you 10% of all the points your referrals make, all the time! Swagbucks has a lot of rewards to choose from. With as little as 500 SBs (I usually make at least this amount every month), you can get a $5 iTunes gift card delivered to your email inbox within 10 business days. MySurvey is all about online surveys and rewarding panel members for their time taking them. In addition to taking surveys on the site, you can also download the mobile app for your Android or iOS device and take surveys when you’re on the go. MySurvey has an extensive rewards catalog filled with various gift cards you can choose from when you earn enough points, and iTunes gift codes is one of the options. E-Poll is a popular survey site that’s recently gotten an updated makeover on its website, but it’s still the same panel its members know and love. The site sends a good amount of invites to members and offers a lot of rewards, including iTunes gift cards. You can redeem your points for other gift cards like Amazon, Target, and Best Buy, or you can choose PayPal cash. Be sure to stay active because your accumulated points will expire if you don’t take a survey within 12 months. Harris Poll Online has a lot of members and continues to be one of the most active survey sites on the web as well as one of the oldest. Harris Poll Online also has an extensive rewards catalog that offers everything from sweepstakes entries and fun prizes to a wide range of gift cards. You earn points for every survey you complete and you can also earn more by referring your friends. You’ll need different points to redeem depending on the prize you choose, but you’ll need at least $10 worth of points to choose an iTunes gift card. Read more: Harris Poll Online Review: Does it Get the Job Done? iPoll is a straightforward survey panel where you can earn points for your surveys. Not only can you answer questions on the website, but you can also download the iOS or Android apps to earn money on the go through your smartphone. iPoll has a community feel that members seem to love, offering ways for members to enter discussions and learn more about each other in addition to taking surveys. iPoll offers iTunes, Amazon, and other gift cards, and you’ll also receive entries into big cash sweepstakes that happen every quarter whenever you complete a survey. Read more: An In-Depth iPoll Review: Is It The Real Deal? Ipsos i-Say is, by far, one of the most well-known survey sites and it also offers iTunes gift cards as rewards. But what’s most impressive about Ipsos i-Say is its extensive rewards catalog that features tons of other prizes you can redeem your points for. So, if you happen to stay very active and end up with more iTunes gift cards than you need, you’ll still have plenty of other options when it comes to getting rewarded. Ipsos is also a great site for joining a community. You can answer questions from others and post your own poll questions to start discussions with other members. Stay active on the site and you’ll move up in the Loyalty Rewards program, which will help you earn bonus points for more surveys that you complete. MyPoints is a site I’ve used for a long time for taking surveys and earning gift cards online, but it offers a lot more than just surveys. One of the best ways you can also earn iTunes gift cards here is through cash back shopping offers. Choose the stores you want to shop at, make a purchase, and you’ll get cash back in MyPoints points for your purchase. iTunes gift cards start at just 790 points for a $5 reward, and you can easily earn that many points just from one or two shopping trips. MyPoints also has new bonus tasks every day that you should remember to complete, because they’ll get you extra points for a few minutes of your time. Opinion Outpost keeps things easy by offering some of the most popular prizes for taking surveys online: Amazon, iTunes, and PayPal rewards. For every survey you take, you’ll also be eligible to win a quarterly $10,000 cash prize by getting an extra entry into the drawing. You get points at Opinion Outpost for each survey you take and you’ll need at least 50 points (equivalent to $5) for an iTunes gift card. Read more: Opinion Outpost Review: Is it a Great Ride or a Bandit in Disguise? OpinionSquare is a popular survey panel with over two million members. You get tokens for each survey you take, which will vary depending on the length of the surveys. You’ll also receive an entry into the cash prize sweepstakes every time you successfully complete another survey. 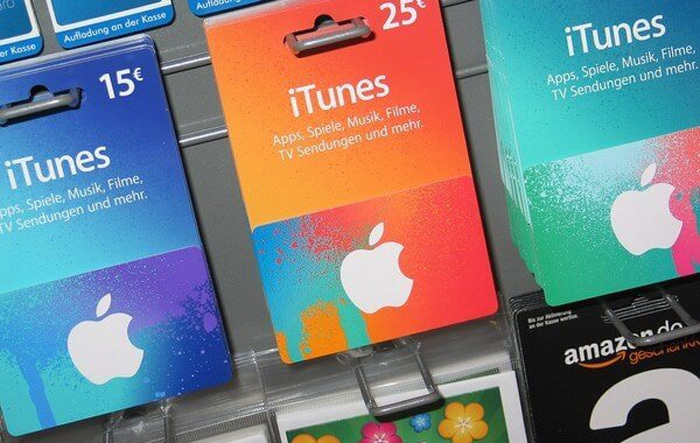 You’ll need 1500 tokens minimum for some gift cards, but most – including iTunes – will require you to have 2500 tokens to redeem them for a $10 card sent electronically. Occasionally, the site has cash rewards for surveys instead of points, but these surveys will typically last longer than regular ones. If you do complete one, you’ll get a check in the mail within six weeks. One of the most popular rewards on the QuickThoughts panel is an iTunes gift card, and most of its advertising reflects that! This panel connects with other survey panels to give you a lot of opportunities to qualify for new surveys. Most surveys will take between 10 and 20 minutes to complete and will pay between $1 and $3. You can also take QuickThoughts surveys on your phone or tablet by downloading the mobile app for iOS and Android devices. Request your iTunes gift code once you have at least $10 in your account. Read more: Quick Thoughts Review: Is this New Kid Worth Your Time? You’ve probably heard of SurveySpot because it’s been on the web for longer than several similar websites. SurveySpot offers a lot of reward options, including iTunes, but each reward will need a different minimum number of points to cash out. One of the fun things about this panel is that it has an instant win game that panelists can participate in. Play the slot machine or scratch-off game and try to win extra points or even cash prizes or gift cards! Most rewards come electronically within a couple of business days after requesting them. Valued Opinions is yet another survey panel option for people who love iTunes cash! Most surveys here take between 15 and 20 minutes, but your invites will let you know how long the estimated time is and how much you can earn. You’ll need at least $10 in your account to redeem for a prize. One great thing about this panel is that it has security measures in place to make sure you and only you are requesting prizes from your account. Valued Opinions will send you a code to your mobile device to verify that no fraudulent activity is taking place before it sends your gift code electronically! Read more: Valued Opinions Review: How Do They Stack Up? MySoapBox is a somewhat new survey site that offers a lot of great rewards. In addition to iTunes codes, you can also get gift cards for Tango, Starbucks, The Home Depot, and more. If iTunes gift cards are what you’ll after, then you can definitely find the right survey panel for you that will give you the rewards you want most. There’s no point wasting your time taking surveys for a panel that doesn’t have the type of gift card or prize you want. Earning iTunes gift cards can be the perfect way to save money on your favorite music, movies, and apps for your iPhone, and online survey sites are the perfect way to earn them. Sign up for two or three of them and start earning free iTunes gift cards!